I began meditating because I had heard from friends about the ways in which meditation had improved their wellbeing and ability to control their thoughts. What really convinced me was Sam Harris on his “Waking Up" podcast. He so vividly describes the ways in which meditation is a tool to improve oneself and take control of emotional responses - something I struggled with often in my youth. So I began sitting in silence. The one thing that became abundantly clear is that I have absolutely no control over my own thoughts. When in silence, it is much easier to notice the loudness of the brain. Without provocation thoughts arise again and again. Quieting my mind was much harder than quieting my surroundings. In this piece I wanted to capture this feeling, that silence however calming isn’t truly silent without active practice. As a music lover I thought of John Cage’s famous 4’33” for piano as inspiration. The symphony becomes the sound of silence in the room. The Human breath, shuffling of feet, and white noise is itself music in this piece. The brilliance comes from the attention drawn from an expected outward experience into an internal one, living with one’s own thoughts. Lastly I read the book Quiet by Susan Cain, a fascinating read about introversion and the advantages that come with that quality. Naturally, I am introverted but I have always been trying to push myself to become a better speaker and more gifted conversationalist. This book gave me insight to the power of being a good listener and using the gift of being present, serious, and introspective has helped me overcome many of the unwanted traits that come with introversion. The power of quiet and silence has given me strength in life and it was important for me to pay homage to this topic. With all this in mind I combined my loves of expressive typography and printmaking to create over 100 unique prints. I represented the loudness of silence with busy compositions and patterns. Pushing and pulling on the legibility of the typography itself reflected the feeling of meditation as thoughts arise and drift away with focus on breath. I chose the cool and calm color scheme to reflect the feeling of true quietness and stillness. The coolness reminded me of winters spent in Rye NH, notoriously a summer surfing town, everything shuts down in the winter and even the ocean becomes quiet. During my making process I also created a meditative space for myself by refusing to indulge in conversation and focusing my energy entirely on experimenting with mono-print processes. Finding the time to be truly playful with analog materials is something dear to my art and design process. Getting away from the blank photoshop file gives me a chance to slow down and create unexpected imagery. Often I find that surrendering to the materials yields more interesting outcomes. When I came across my mother’s old Letraset from her art school days, I felt completely inspired! I loved even the layout of the letraset sheet itself. In design school, many of my professors complained about the days when they used letraset to typeset posters. I can imagine this to be a tedious process. But, I knew deep in my soul that if I allowed myself to play with this material I could make something interesting. My mother and I have been known to have a complicated relationship. We both love each other very much and I’m sure she’ll disagree with much that I have to say about the concept of this piece. We often do. But our story, combined with my use of her materials felt like the perfect conceptual backing for a quick zine. As many daughters and sisters do, I have a bad habit of stealing from them. Often without bad intentions as they know where to find me. I would raid my mother’s jewlery box for something to match my new outfit, or try on her shoes, or eat food she had saved for herself. Mom hated this, and is still paranoid when I visit her that I’m after some of her clothing. She had a keypad lock installed on her closet door specifically so my sister and I cannot get in to rummage through her things. Not long after returning to school, my mom became pregnant with little old me. Though for the first time in her life she was following her passion and doing a great job at it, she felt a greater responsibility to love and take care of me. So after giving birth to me, she discontinued her studies. Mom always says this was her choice, being a stay at home mom. And I’m sure it was, though I haven’t had a child myself I know if push came to shove that my children would come before my dreams of being a true artist. 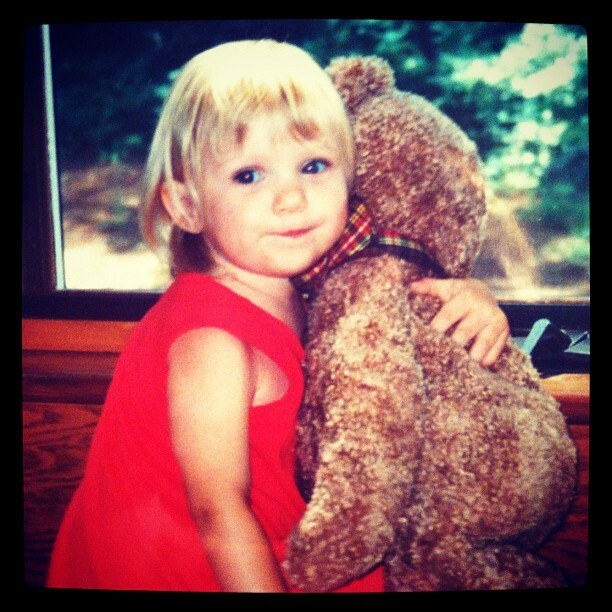 But I can’t help but feel that I stole away a future she worked so hard to achieve. So when I stole the letraset she bought for her interior design studies, I felt compelled to honor that time in her life, and my very first moments on the earth. For this project I was given the text of "The Chrystal Goblet" by Beatrice Ward. The thesis of this essay is rooted in a deep disdain for ornament. To her, typography was meant solely as a utility to communicate. Though I disagree with her sentiments, one must consider the context and time of it's writing. Beatrice Ward wrote the Chrystal Goblet in London after World War II. For countless centuries prior, high society was known for its opulence and extravagance. The upper class's reluctance to accept change was frustrating for younger generations. It is easy then to understand where Ms. Ward's disdain for ornament is rooted. By contrast, the 21st century is marked so far by design for mass appeal. Advertising and branding agencies around the world are slated with the task of creating recognizable and trusted brand marks. But when design by committee goes wrong, or CEO's fear being too "out there" we end up with every brand and every piece of marketing material looking largely the same. The ubiquity of helvetica is proof of this attitude. I myself have been witness to designers selling sans serif bland brand marks to clients claiming their sleek modernity, familiarity and mass appeal. Combine this with our world becoming smaller due to globalization, and we have a recipe for disaster. Traveling is no longer an extreme culture shock as brands become global. Seemingly everyone who travels abroad has the same story about eating at McDonalds in so and so country "just to see if it is actually the same". So when I read "The Chrystal Goblet" naturally I was saddened by her opinion. When typesetting the piece I took extra care to add all the ornament my heart desires. Long gone are the days of William Morris and the Arts and crafts movement. Personally I yearn for design which takes the time to flourish and doesn't bother to appeal to everyone. Riverchase Dermatology is the biggest provider of free Melanoma screenings in Florida, the sunshine state. Florida is a place where many people come specifically to lay out in the sun, making their work all the more urgent here. 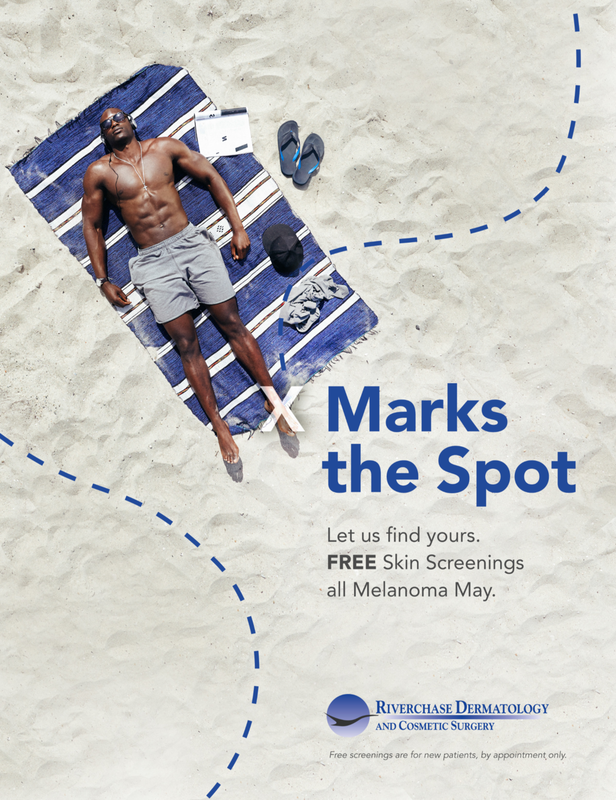 In May, Melanoma awareness month, they came to Boost Creative looking for an advertising campaign they could use to promote their free screenings. The thinking behind this campaign began with the idea of treating the search for melanoma as a search for treasure rather than the search for cancer. In years past Riverchase had used fear as the motivation for their campaigns, reciting facts about skin cancer's dangers to bring new patients through their doors. I felt that this tactic, while useful, was tired and expected. Injecting some wit into the campaign would generate interest among the varying demographics of south Florida. Pirates are an endearing staple of Florida life, locals sport "Salt Life" stickers on their trucks, and pirate themed T-Shirts deck many a beach-goer. Historically Florida was discovered by Ponce De Leon, and quickly became an important stop for Spanish vessels. Famously, pirates flocked to Florida to prey on the fully stocked ships. Referring to this history, the Atlantic coast is affectionately called the "Treasure Coast". 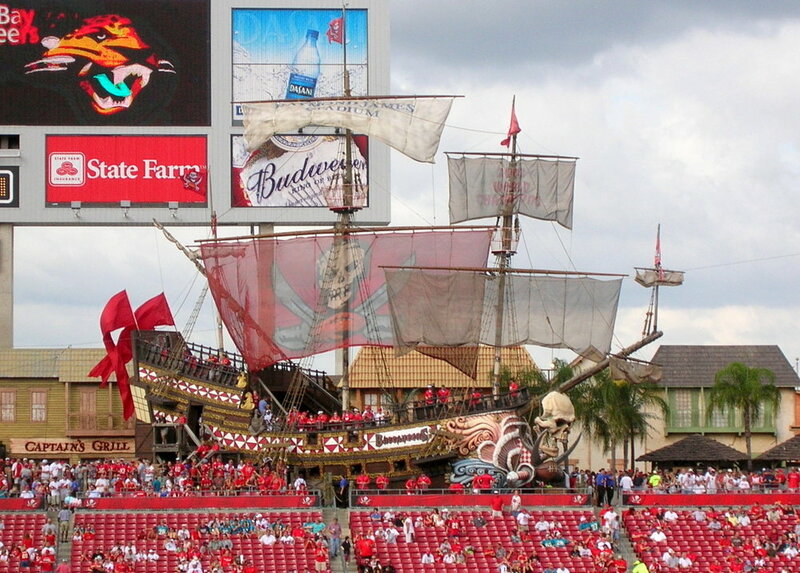 More recently, the local college FSW sports a pirate as their mascot as well as the NFL expansion team the Tampa Bay Buccaneers who go so far as to feature a giant pirate ship in their stadium. It felt only appropriate to use the Treasure hunt theme as a fun way to get local populations excited for their free skin screenings. This theme allows for a breadth of applications which keep the campaign fresh across many mediums. Pirate ship at Raymond James Stadium, home of the Tampa Bay Buccaneers. In dermatology the visual of the Dotted line is commonly used when referring to cosmetic surgery. Popularized by fiction novels about pirates like Treasure Island, the dotted line plus "X Marks the Spot" has become an engrained part of pirate folklore. In the past Riverchase had used "You Missed a Spot" as the headline of their free screenings campaign. In this campaign the use of the word Spot refers not only to the spot where treasure is buried, but also to the Melanoma spot which often looks like a misshapen freckle. Riverchase's logo is also circular, so in much of their materials we use the circle element. Social Media Post designed by Melissa Jones at Boost Creative. All of these elements came together for a Melanoma May campaign which was thoughtful, interesting, locally minded, and positive. Check out the campaign here.